The studio-efficiency on the 3rd floor has a semi-private sleeping area behind the stairway entry. 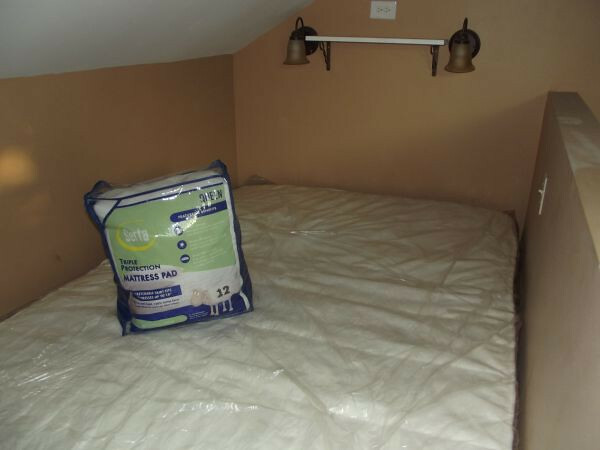 The built-in bed has a brand new queen-sized mattress with waterproof mattress pad. There are built-in storage compartments under the bed and separate lighting controls on each side of the bed.